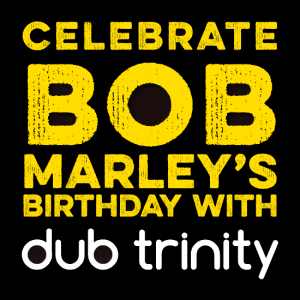 Spend the day celebrating Bob Marley’s birthday with Dub Trinity at the Red Dog. The family-friendly matinee opens at 1:30 pm. $5 for adults and kids are free! The night show opens at 9:30 and Dub Trinity goes on at 10 pm sharp playing roots-rock-reggae till 12:30. The night closes with The Bush Doctor’s Ultimate Bob Marley Mixtape for anyone who still has their dancing shoes on. Happy Birthday Bob!